We now have hot tubs available for four or seven days rental. We provide you with all you need including chemicals so you can enjoy the experience of a hot tub. Four days rental: £220 (delivered Friday morning - picked up Monday morning). Seven days rental £300 ( delivered Friday morning - picked up Thursday morning). All we require is access to a 13 amp power supply and a flat surface such as decking, concrete, slabs or grass. Ideal for many different occasions eg: Birthdays, Anniversary's, Valentines Day, Party's, Christmas Holidays. 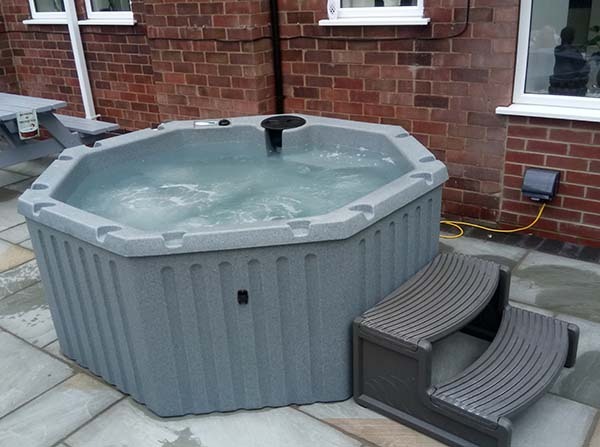 We supply all you need to start enjoying the Hot Tub experience. Rental price include delivery, commissioning (filling up and chemical demonstration). To find out more please Click Here and fill out the contact form.